Are you crunched for time? Could you use a little Facebook automation in your life? Well, help is here. 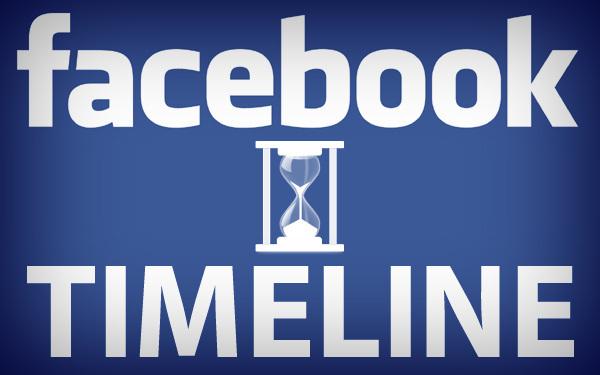 Facebook allows you to schedule your page posts. Many people cheered this feature becauseFacebook’s EdgeRank algorithm and other quirks make using third-party tools likeHootSuite or SocialOomph for scheduling your posts less desirable than posting manually. Let’s dig a little deeper and find out some of the nuances of using Facebook scheduled posts. First, we will give you the steps to schedule your posts and edit them. Discounts and offers drive participation, but social media followers also want to show supportConsumers connect with brands both via email lists and by “liking” companies on Facebook. While users want to receive discounts and special offers via both channels, connecting with a brand on social media is an added public display of support. Chadwick Martin Bailey analyzed why consumers engage via email and Facebook and found that receiving discounts and special offers was the top motivation. Of the US respondents who had an email account, 58% cited that as a reason for subscribing to email lists. Other reasons for email participation included taking part in a specific promotion (39%) and because the consumer was a customer or supporter of the business or nonprofit (37%). On Facebook, the desire to receive discounts and special offers was also the top reason for “liking” a brand, but it was only cited by 41% of US Facebook users, a smaller percentage of respondents than those that subscribed to email lists for the same reason. Additionally, 25% of respondents said they “like” a business or nonprofit’s Facebook page because they want to show their support, and 22% said they wanted to also demonstrate their support to others on Facebook. Both email and Facebook can be great ways to connect with customers and supporters of a business or nonprofit. Email lists have their benefits, including the ability to have a database of contact information of supporters or customers, but with Facebook, there is the added advantage that the consumer is publicly showing support via a social recommendation. A 2011 study from 8thBridgefound that consumers most often “like” a retailer on Facebook because they purchased a product and liked it; they then used Facebook to provide a straightforward recommendation for friends to see. It still holds that consumers want discounts and deals when they connect with a business or nonprofit via email or Facebook. But, especially as consumers live more of their lives on social networks, connecting to a business or nonprofit on Facebook is not only about promotions, but a way to show public support for preferred businesses and nonprofits. Facebook pages are changing. And that means your business strategy will need to change. In fact, Facebook has made many new changes that will impact anyone with a Facebook page. These changes emerged from Facebook’s fMC 2012 Conference. The overall message was that Facebook is looking at pages as a “mission control” point (which is where the MC comes from in the conference title). Here is an overview of the changes and how brands can take advantage of some of the new features. Obviously one of the biggest changes that we all knew was coming was the cover photo. No more photo strip across the top. You now have one large image to showcase your page. This image must be a minimum of 399 pixels across to be used as the cover photo. But you can have a photo cover designed to take advantage of the extra space you get. The cover photo maximum dimensions are 850 pixels by 315 pixels. One of the biggest restrictions is the fact that you can’t have any calls to action in your cover photo. You can’t tell people to like or share your page or have any contact information at all, including your web address, phone number or mailing address. Get the full details about cover photos here. These restrictions will require some creativity in drawing attention to your business without some of the methods that have been used in the profile pictures recently. The profile picture size has been changed to 180 pixels by 180 pixels. It appears next to every post in the news feed as a 30 pixel by 30 pixel picture. The profile picture is best used for your logo or other eye-catching picture without a lot of words. One of Facebook’s mantras during the conference was the way we tell stories with Facebook. To help you tell your stories, the pictures and videos are now larger and more eye-catching. Another thing you can add to make your Timeline more interesting is Milestones. You can tell people about big events in the life of your brand or company. All you need to do is click on the line that runs down the middle of your Timeline and select Milestone. Then you can fill out the information as shown below. Because the posts from your fans are in a separate area, your Timeline is now more focused on your story. People may be spending more time reading your Timeline rather than just coming to your page to ask a question. The more visually engaging you can make your Timeline, the better. To move your apps around, first click the down arrow next to your top row of apps to display all of your apps. Next, click the pencil icon in the upper right corner of the app. Then select the app that you would like to swap positions with. As mentioned, you cannot change the position of the Photos app. One of the biggest changes is the removal of the default landing tab. Applications are still available and if you have created a custom welcome tab or added any other special application, it hasn’t disappeared. You now have 12 applications you can showcase and only the four applications that you move to the top row will appear prominently. You cannot change the position of the photos, so technically you only have three applications that you have control over in that top row . Many people are lamenting the disappearance of the default landing tab, but the new app buttons give us an opportunity to be creative. You can change the photo that appears for the app and you can rename the app to give a call to action as shown on Holdren Design’s page. To change your app photo, again display all of your apps with the down arrow button next to the top row of apps and click on the pencil icon. Scroll down to the Edit Setting selection and from there you can add a custom tab image. The custom tab image is 111 pixels by 74 pixels. 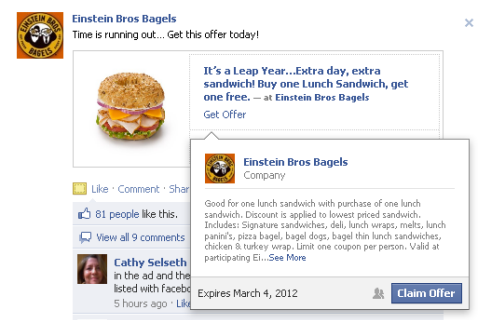 Only a few companies have access to Facebook Offers currently, but it will be rolled out soon. According to Facebook’s Offer Help section, they “expect to make Offers available more broadly soon.” Facebook Offers are like Facebook Deals on steroids. The post is sent through the news feeds of your fans, which is much more visible. There are easy ways to share the Offer, both through the post itself and then when the Offer is claimed. Fans get the Offer by clicking the Get Offer link, see the terms and then click the blue Claim Offer button as shown on the left. The danger is making sure you have the bandwidth to deliver the Offer. There didn’t seem to be any way to cap the number of Offers that were claimed. 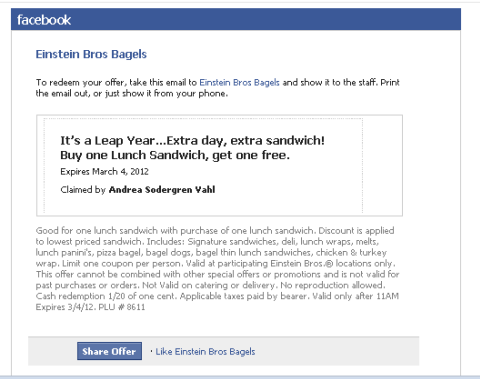 Einstein’s Bagels had close to 30,000 people who claimed the BYGO sandwich offer. Not too difficult to fulfill if you have 500+ locations and you anticipate that some won’t redeem the Offer at all—but still, you don’t want to get into a bad situation with fulfillment problems. The other question is when Facebook Offers will be widely available. Facebook stated, “Offers are only available to managed advertising clients.” Once this is rolled out to more pages, it would seem that every page would want to create one if it was free. Plus it appears that Facebook may not be vetting the Offers before they go live. Offers may become too much of a good thing, but that remains to be seen. Another change with the Timeline is the location of the Insights. 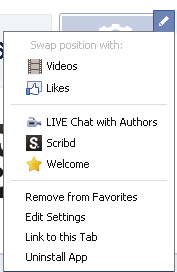 You can now access them by clicking on the Admin Panel in the upper right corner. The Admin Panel has much different navigation than before, but everything appears to be there. You will still be able to see the old-style Page Dashboard if you click the Manage drop-down menu and then Edit Page. From the Admin Page, you can also invite your email contacts, invite friends, share your page and create an ad from the Build Audience drop-down menu. Facebook has done a nice job of giving us lots of options to learn more about the new page design from the Help drop-down menu. During the Preview, the Help drop-down menu links to tutorials, but once you publish your Timeline you will have access to some different options. 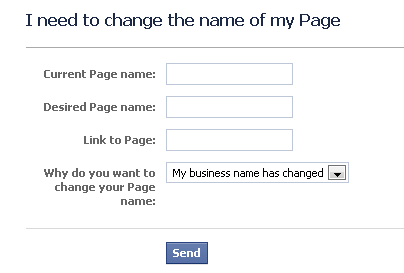 One of the capabilities will be to easily request a name change for your page. This name change is the title of your page, not the custom URL you may have set for your page. You can still access this form here. Great news for people who have changed their company branding, have had a misspelling in the name or have other tweaks they have wanted to make. One of the most interesting developments of the new page Timelines is that we can now get more information on other pages that have changed to the new Timeline. When you click on the Likes box, just underneath their Timeline cover photo you cansee the most popular age group, a People Talking About This Trend graph and their most popular week. Companies could possibly hide the Likes box by swapping it to a lower position than the top 12 apps that are accessible to the public. But that would also hide the social proof of how many people like your page. Pages will also have the ability to receive messages from fans. The Message feature can be turned on or off from the Manage Permissions area of the Admin Dashboard. The Message button is enabled by default so if you want to disable it, you will have to uncheck the box. Messages can only be initiated by a fan—they cannot be initiated by the page to a fan. The page can reply to the message sent. Another new announcement that was covered in the fMC Conference was some changes to advertising. 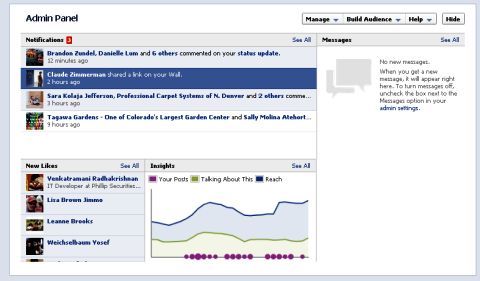 The ads will be larger and the product names are the Reach Generator and Premium on Facebook. The Reach Generator is designed to reach more of your existing fans than you currently are reaching through the news feed. Mike Hoefflinger, Facebook’s director of global business marketing, said thatcurrently pages only reach about 16% of their audience each week with posts. With the Reach Generator ads, pages can reach 50% of their fans each week and 75% each month. Beta testing done by brands such as Ben and Jerry’s was able to reach 98% of fans and double engagement. The Reach Generator ads are designed to connect to your existing audience and will include the Page Post stories. The ads will not be based on CPC or CPM models, but will be an “always on” ad. These ads will be shown on the right side of the page and they will also go into the news feed and mobile streams. 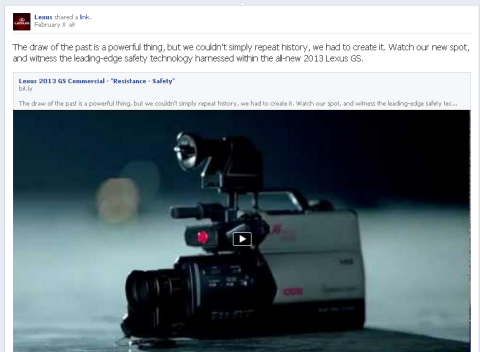 Learn more about this product in Facebook’s Reach Generator Guide. Premium on Facebook is designed to distribute your stories to new connectionsand will be shown on the right side of the home page, in the news feed, in mobile streams and when someone logs out of Facebook. Find out more in the Premium on Facebook Guide. Today Facebook announced to brand marketers the world over that, within the month, everything they knew about fan Pages on Facebook would be overturned. While you get your brand ready for the new Timeline format, here are six important changes to keep top-of-mind. What’s new: The format of Timeline for brands is quite similar to Timeline for personal profiles. It employs a cover photo at the top of the Page, and the Page is separated into two main columns by a dividing line, which represents the passage of time. This format provides brands with new options for self-expression: They can outline their corporate history with milestones (such as product launches, store openings, etc.) to construct a narrative for their audience. Recommendation: Milestones present an important and dramatic opportunity to educate the public, humanize the brand and remove a perception of corporate anonymity. Our analyses of Page engagement have continually shown that brands posting content that depicts behind-the-scenes activities, exclusive updates or promotions encourages user interactions and promotes higher engagement rates. Using interesting milestones to craft the story of the brand over time (and updating the Timeline with new milestones as they happen) can help to stimulate conversations around major achievements. What’s new: The new Timeline format does not have the left-side panel of links, which could include hundreds of different tabs. While applications still exist, they’ll display differently, in rectangular panels underneath the cover photo. The width of the Timeline and the space allocated for native apps like Photos means that only three tab panels are viewable at any given time. 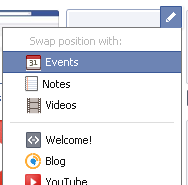 To see more, users must expand the tab panel by clicking a drop-down box. For marketers, this major change means that the three above-fold tab apps need to be considered carefully — this will be one of the first things users see when interacting with your brand on Facebook. Brands will want to switch up which tabs are visible “above the fold,” according to current company objectives or project popularity. A good Page analytics tool will be useful for determining which tab to promote on a day-to-day basis. With the new Timeline Page format, you will no longer be able to set a default landing Page, a favored feature for many savvy brands. The option was one of the primary ways to control the first (branded) impression a user encountered. Since there are no more tab Pages, there is no way to set one as a default. This will drastically change user impressions when they first visit a brand’s Timeline Page. You will need to apply new and careful attention to all the top messages in the Timeline, as they will be the first objects seen by visiting users. Likewise, Facebook ads for brands will become ever important, as ads will be one of the major ways brands on Facebook can control a user’s experience. Setting up an advertising campaign for a Facebook promotion or new application will be the only way to guide new and clicking users directly to that application (as landing on this Page cannot be achieved by default). One major new feature that marketers will love is the ability to “pin” certain posts to the top of the Timeline. Similar to marking a blog post “sticky,” so that it remains at the top of a blog for a specified period of time, pinning a post to the top of Timeline allows it to precede any other content. A pinned post is distinguished by a small, orange flag. Brands can pin only one item at a time, and the pinned item then exists in two locations — as the top item on the Timeline itself, as well as within its chronological place. Once unpinned (which happens automatically when a new item gets pinned, or the item has been pinned for more than seven days), the post remains in the chronology of Timeline posts, but there is no visual history that it was pinned in the past. Since you can no longer create a default landing Page, pinning items to the top of the Timeline will become every marketer’s go-to strategy for highlighting new and interesting content. We will begin to see savvy brands design posts specifically to be pinned, whether images, a well-designed call-to-action, a statement about brand value, or a message calling for the user to click one of the tab panels under the cover photo. What’s new: The new Timeline layout displaces Facebook’s existing Page tab configuration (including a tab’s 520-pixel width), and replaces it with a new 810-pixel layout. As a result, existing Page tab content will look centered in the middle of the 810-pixel layout without any adjustments. All applications that remain on a brand’s Page will need new application icons (the new dimensions are 111×74). Recommendation: The most pressing updates for brands will be to update the images and tab functionality of the above-fold two apps. As these are the first tabs users will see, they will likely be the first to be interacted with, or entirely ignored if not optimized for the new experience. Finally, brands will be able to send and receive private messages with users. This allows for much deeper consumer interaction, and will also enable Page managers to take extended customer inquiries off the Timeline and into a private message. Be mindful of noise in the Timeline. Since the real estate allocated to each post depends on how engaging it is or how much interaction it has received, it can be easy to clutter your Timeline with customer inquiries. When these inquiries can be better serviced in a more one-on-one manner, reach out to the consumer with a private message and resolve her question. It’s a good opportunity to yield both a happy user and a clean Timeline. 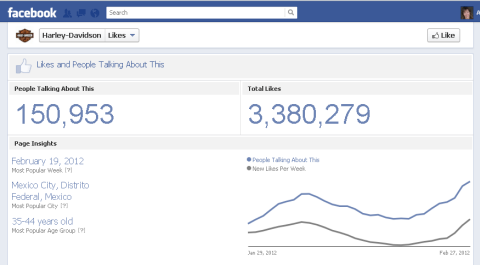 Timeline for brands will certainly shake things up for social media marketers who seek to make an impact on Facebook. One thing is for sure though: The way content is shared and viewed within a Timeline Page is incredibly important. Brands that constantly create engaging updates and share important milestones will stay at the forefront of users’ attention. Create and rotate new apps for engagement, pin relevant and timely content, and update the feed with user-friendly dialogues to stay relevant in this new space. Will you or your company do anything differently, right off the bat? Feb. 17 (Bloomberg) -- Last April, Gamestop Corp. opened a store on Facebook to generate sales among the 3.5 million-plus customers who’d declared themselves “fans” of the video game retailer. Six months later, the store was quietly shuttered. Gamestop has company. Over the past year, Gap Inc., J.C. Penney Co. and Nordstrom Inc. have all opened and closed storefronts on Facebook Inc.’s social networking site. Facebook, which this month filed for an initial public offering, has sought to be a top shopping destination for its 845 million members. The stores’ quick failure shows that the Menlo Park, California-based social network doesn’t drive commerce and casts doubt on its value for retailers, said Sucharita Mulpuru, an analyst at Forrester Research in Cambridge, Massachusetts. A year ago, investors hailed so-called F-commerce as the next big thing, speculating that the company had potential to threaten Amazon.com Inc. and PayPal Inc. Facebook is the most- visited website in the world. Some people thought that persuading visitors to shop would be easy, Mulpuru said. David Fisch, Facebook’s director of business development, said in June that the site would make shopping online, previously a solitary experience, more social. 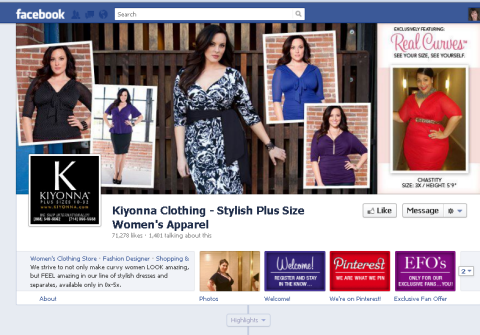 Facebook planned to profit from retailers buying ads to drive traffic to their on-site stores. Business consultant Booz & Co. predicted in January 2011 that physical goods sold through social commerce would balloon to $30 billion from $5 billion by 2015, with Facebook contributing a majority of sales. 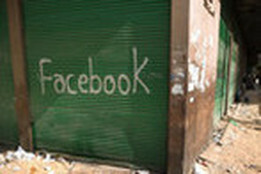 Even as some businesses shut storefronts, many companies continue to devote advertising dollars to the social network. Facebook’s sales surged 55 percent to $1.13 billion in the fourth quarter. The company aims to use e-commerce more as a way of getting users to stay longer than as a way to boost revenue, said Krista Garcia, an analyst at EMarketer Inc. in New York. Chris Kraeuter, a Facebook spokesman, declined to comment. Customers had no incentive to shop at Gamestop’s Facebook store rather than the company’s regular website because purchasing online is already convenient, said Ashley Sheetz, who is the Grapevine, Texas-based company’s vice president of marketing and strategy. Gap, which has 5.6 million Facebook fans from its namesake, Banana Republic and Old Navy pages, opened and discontinued a storefront last year, said Liz Nunan, a company spokeswoman. The San Francisco-based company also discovered customers preferred shopping on its own sites, she said. “We will continue to evaluate if this is something we want to bring back in the future,” Nunan said in an emailed statement. Nordstrom tested ways to make shopping “seamless through Facebook” and decided on a broader social media focus, Colin Johnson, a spokesman, said. J.C. Penney featured assortments in a Facebook “shop” tab beginning in 2010, and took it down in December 2011, Kate Coultas, a spokeswoman said in an emailed statement. Wade Gerten, chief executive officer of social media developer 8thBridge, previously known as Alvenda, opened a Facebook store for the florist 1-800-FLOWERS. Minneapolis-based Gerten went on to develop commerce strategies for Delta Air Lines Inc., Diane Von Furstenberg Studio LP and denim-maker Seven for all Mankind. Cracks in the model showed quickly, Gerten said in a telephone interview. Clients “have taken a different approach,” shutting stores or scaling back their offerings. Want Facebook Business Results? Get Off of Facebook! So you have a Facebook business page. You may have had it for months or even years. Or for you it might be a new shiny object you just started playing with. Many have big hopes and dreams when it comes to social media and Facebook business pages. They dream of a blue and white platform that is going to solve all of their business problems. They dream of ROI and maybe even being the most popular kid on the block. You know the one. The one who has all the likes, comments and highest edge rank. However, for most business leaders, it isn’t long after you setup the Facebook business page that you realize it’s not the magic genie you thought it would be. You realize it is going to take real work. You got that right! So let’s roll up our sleeves and crack this Facebook nut! Regardless of when you started your Facebook business page, we all have the same challenges. If you are not seeing results with Facebook you probably do what everyone else does, focus internally and within your Facebook page. You post, you repost. You try to post different stuff. You post photos. You post links. You post funny jokes. You may have even tried asking if your fans prefer diet coke or coke? However, no matter what you do, you are not seeing results. You post what you think are relevant status updates. You ask questions. You provide useful content from other sources. You ask or may have even fallen to begging for likes!? Unfortunately your methods are not working. You know it. Your boss knows it. Your customers know it. It’s easy to over analyze your content, dig deep into Facebook insights, and beg for likes. It’s easy to blame it on your fans. I’ve heard many business leaders say “our fans don’t like to talk” or “our fans are boring.” Hmmm….. maybe you are the one that is boring? Maybe you are the one who is not providing anything of value? Maybe you have never connected with them in the first place? It’s time you try something different. Right here, right now I want you to commit to stopping the begging, desparate behavior. It’s time to get serious at driving real results. Have you ever thought that maybe your answers might be outside of Facebook versus within your Facebook fan page? If you are not seeing the desired results on Facebook, I challenge you to spend a few days outside of Facebook. ith 845 million users, Facebook has become an increasingly useful tool for brands, and it’s important to have a strong presence on the social network. Whether your brand is fully established or just starting out, launching a marketing campaign can seem overwhelming. But, it doesn’t have to be a timely or expensive process. There are several small and simple things you can do for your brand on Facebook. In fact, some of these marketing tactics are used by the biggest brands in the world. Ready for your brand to get in front of the 845 million? Majestic Media, a global Facebook marketing agency, has come up with nine time-saving tips for marketing on Facebook. Before you launch your brand presence on Facebook, you need to make sure that your vanity URL is available — and that it’s simple and easy to remember. Rather than going through the time consuming process of manually figuring out what’s available and what’s not, use a simple but powerful service called Name Vine. It checks domain names, Facebook and Twitterextensions in a matter of seconds to see if your desired vanity URL is available. Copying and pasting content, logging in from one social media network and logging out from another can be a time consuming task — but it doesn’t have to be. If you’re looking to push content to Facebook and other social networks, you can benefit from using a tool like HootSuite, which allows you to publish once and distribute everywhere. You can integrate your Facebook Page, Twitter account, Google+ page, LinkedIn profile and other social networks — all within one easy-to-use interface. For small and medium-sized businesses, social media budgets are nowhere close to those of global brands, which can afford multiple custom applications and promotions on Facebook. However, large budgets aren’t required to launch a lot of the basic applications seen on Facebook. Services such as North Social and Pagemodo provide the kinds of applications that most businesses need. Also, most of these services provide a “freemium” model that offers some applications for free. Keep in mind that you won’t get a customized app, but you can manage the content and visuals within pre-developed apps that are available. This may be a good first step into the Facebook world if your budget is a main concern. A Welcome Page: This should be the default landing page that welcomes a user to an application. Typically, these pages are fan-gated, meaning the person is asked to “like” the page to unveil more content. A Contact Us Page: This is a great and useful tool for converting your fans into potential sales leads. You should set up at least one or two tab applications on your Facebook Page, so users aren’t landing on your Facebook wall, but rather a page that’s informative, engaging and able to convert those users into fans. 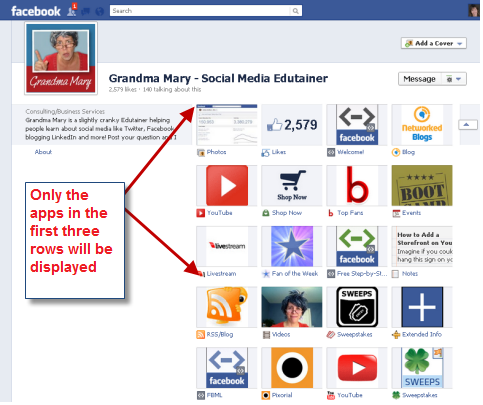 The most underutilized (free) tools are Facebook social plugins. 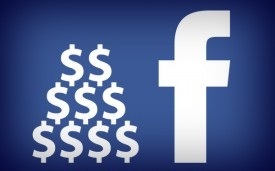 A new study from Gigya shows that users who visit third-party sites through Facebook Connect spend 50% more time on those sites. Furthermore, those users view twice as many pages. The numbers speak for themselves. Aside from use on third-party sites, social plugins can also be utilized on Facebook apps to provide a deeper level of engagement, while driving traffic back to the application. Above, you’ll see the Facebook application Majestic Media built for Volkswagen, which invited users to participate in the next Volkswagen commercial. It was utilized to build meaningful conversations within the application, while driving new social traffic to the campaign. It doesn’t matter how big or small your company is — leverage the social plugins on your blog, Facebook apps and on your website. They’re free to use and are a quick and easy way to market your brand or message through referral traffic. If you’re looking to see what your fans engage with the most — and when to post it on Facebook — you can utilize a third-party service called Edgerank Checker. If you have to provide a report of Facebook metrics to your boss or a client — or maybe you just want to see for yourself — the best time-saving tip is to export the Facebook Insights data to an Excel spreadsheet. You can see which status updates performed best, whether your audience responds well to video and get a sense of what’s driving your Likes. You can do this by clicking the “Export Data” button. In the pop-up that appears, select the data type and date range. Once you’ve done this and downloaded the file, open it in Excel and apply a filter by going to the data tab and clicking on “Filter.” You have to make sure that your cursor is at the very top row. In the example, we’ve chosen the “Lifetime Post Total Reach” metric to filter by. Once this filter is selected, you can quickly filter any key metrics in ascending or descending order, which is a very powerful trick when analyzing your Facebook marketing and engagement efforts. 7. Provide Local ContentNobody wants to visit a Facebook Page with an enticing offer, only to learn that it’s not available in their region. Nor do they want to land on a brand page where all the content is in another language. Give your fans an incentive to visit your business by providing them with a recent, active “walk-in” promotion in their area. 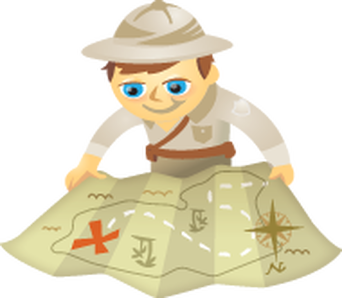 Allow users to recognize that you are connected with their location by providing details and assets specific to where they are. When you have to target languages, Facebook allows you to make status updates for users with certain language settings. So, Facebook users who have French or Spanish as their default language on the site will only see your content that’s in their native tongue. Setting up a QR code for your Facebook Page is a quick, simple and effective strategy for small or large businesses to use. QR codes can be leveraged on napkins, menus, business cards, billboards, magazines, brochures and other forms of marketing materials. Esponce is one of the most powerful QR code platforms on the market, and it offers a free tier that’s typically geared to small businesses. Link your QR code to a dynamic URL — so you can customize and change the URL if you decide you want to later drive users to your website instead of your Facebook Page. You’ll have the ability to view analytics so you can see how many people have scanned your code, their location and the type of smartphone that scanned the image. Buying Facebook ads is a wise, cost-effective solution that can help increase your brand’s visibility throughout the Facebook platform. Most people don’t realize how easy they are to set up or that you can buy in with a small ad spend. A budget of $50 per month would be sufficient for a small business to make some waves. 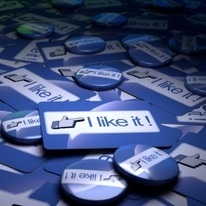 Facebook’s “Like” ads provide users the opportunity to “like” your fan page from any page they are on. If a user doesn’t click on the “Like” button, don’t interpret that as your campaign not working — these ads are relevant because they keep users engaged and informed with the latest in your marketing campaign. Think of them as a brand awareness play — just because they aren’t clicked, doesn’t mean they’re not acknowledged. More recently, one of the best ways to invest in Facebook advertising is by leveraging Sponsored Stories. According to a study by TBG Digital, Facebook’s new Sponsored Stories ad units nabbed a 46% higher click-through rate, a 20% lower cost per click and an 18% lower cost per fan than Facebook’s standard ad units. Do you have other tips for Facebook Marketing? Let us know in the comments.